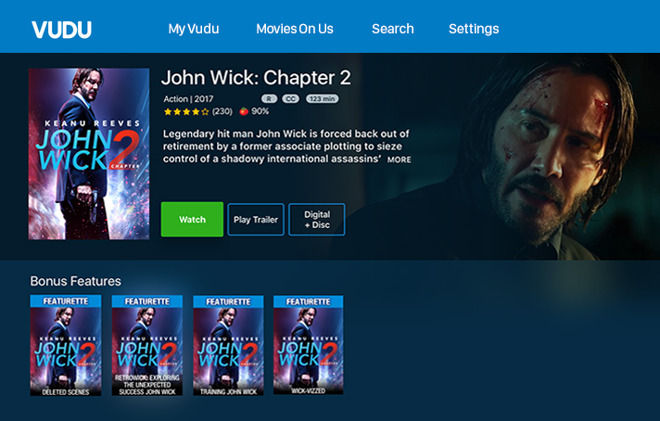 Long in the works, Walmart will finally launch a native Apple TV app for Vudu, its video streaming service, on Aug. 22. An app has been rumored since March, and was confirmed in June without a firm release date. The app will become "widely available" next Tuesday, Variety said. 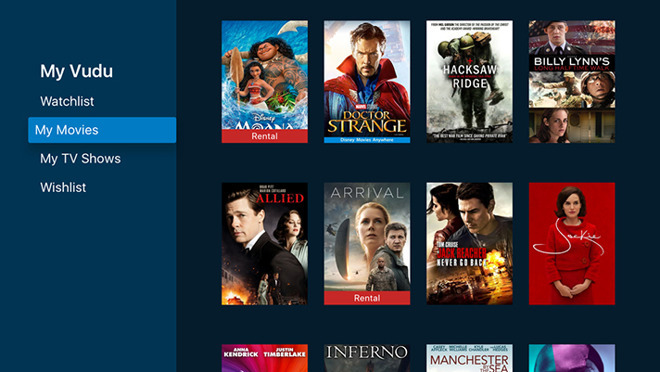 Vudu is U.S. only. While not allowing people to buy or rent movies directly, the app should otherwise support watching any movie or TV show in a person's library, as well as free, ad-supported titles. Purchases will include access to bonus features like deleted scenes. To date, the only way of watching Vudu on an Apple TV has been AirPlay and the service's iPhone and iPad app. The launch comes ahead of an anticipated fifth-generation Apple TV, which could be revealed as soon as next month. The device should add support for multiple HDR formats and 4K video — both of which are still missing from the iTunes Store, despite being present on rival services like Vudu and Netflix. Apple may be preparing to upgrade iTunes content shortly.